Surprise your family by putting this dish on the table tonight for dinner. They won't believe you when you tell them it's healthy! The cheese, tomato and pickle combine for a delicious combination that will make you feel like you're cheating on your diet. (But you're not!) Freeze the leftovers for a future busy night, or pack it up to send with your kids to school in the morning. It tastes great reheated as well! Preheat the oven to 350°F. 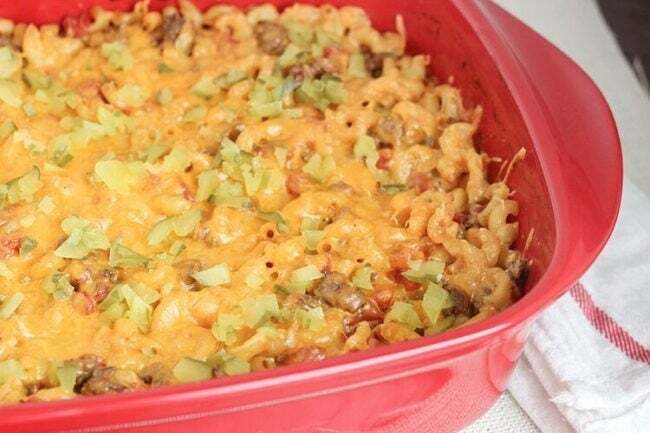 Spray a 9x13-inch casserole dish with nonstick cooking spray and set aside.